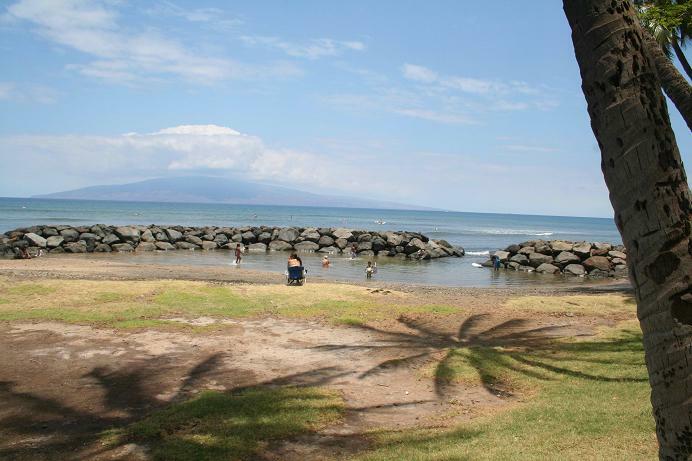 Launiupoko Beach Park, located south of Lahaina in Maui, has all the trappings of a great beach destination. 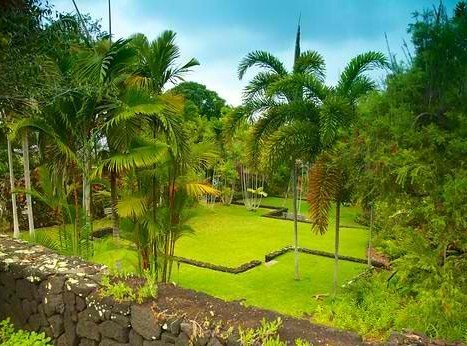 It offers a little something for everyone, including picturesque views, grassy lawn, protected wading pools perfect for the little ones, soft white sand, shaded picnic areas, and excellent surf breaks during summer. A reef of lava rocks creates a natural wading pool with gentle waves perfect for children while the long sliver of beach is excellent for beach-combing while enjoying the spectacular views of the the West Maui Mountains and the neighboring Kaho'olawe and Lanai islands. This beach also offers breathtaking sunsets and during winter months (January through March), a great spot to watch whales cruise the waters between Maui and Lanai in great numbers. Popular among locals and visitors, Launiupoko draws quite a crowd especially during weekends, but there's space for everyone. There are no lifeguards in this beach park but other essential amenities are covered such as showers, rest rooms, picnic tables, barbeques, dedicated parking and additional parking located across the highway. Launiupoko Beach Park is located at Mile 18 on route 30 at Kai Heleku Rd. 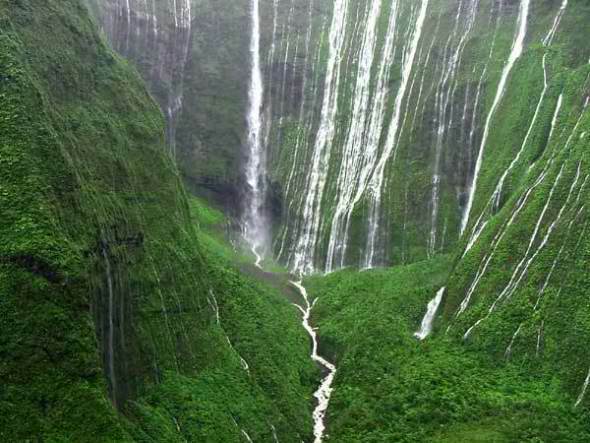 & Honoapiilani Highway intersection. Take route 30 out of Lahaina heading south, and look for Kai Heleku Road traffic-light intersection and "Launiopoko Beach Park" sign, and enter the park on your right. Look for parking; if the lot is full, additional lot is located across the highway.